He watched two police cars pulling up outside the front of the house. Their blue lights were flashing but the sirens were silent. Two officers emerged from each car and began inspecting the front of the house. They hadn’t seen him. The distant rumble of another approaching train could be heard which gave Yuri an idea. Suddenly a crash was heard downstairs as officers kicked or forced the front door while Medev calmly shouldered his bag which was ready packed. A second after the crash, a loud explosion followed almost immediately by another reverberated downstairs as the stun grenades he had secured to the door went off. They were meant as a surprise for anyone entering unannounced and they were followed three seconds later by the dull thuds of the gas grenades detonating. These were for anyone who hadn’t got the message the first time. Yuri knew no one would be coming up the stairs so, still calm, he opened the large window at the rear of the house and exited onto the flat roof just below. There were shouts of panic in the still morning air but they were all at the front of the house and there was no way through short of climbing the high fence. There was no one waiting below. He ran silently across the roof, dropped his pack onto the grass and followed it down noiselessly, rolling over as he’d done in countless parachute landings. Springing back to his feet in a single movement he shouldered his bag again and ran to the back of the garden where he easily climbed the wooden fence hearing shouts from inside the garden as he jumped down the far side. The fence was of solid panels and six feet in height so his pursuers would only see him once they climbed it too. He sprinted the twenty or so metres to the railway and crossed the tracks turning to face the house. himself would have done but he did not want to be followed. It worked as no one else looked over the fence and here was the train. He noted that it was heading south, back towards the City, otherwise he would have jumped onto one of the flatbed freight trucks. The massive diesel thundered past followed by a mile long line of trucks moving at little more than twenty miles an hour. That was a three minute head start he had and that was from when the police realised he was no longer there to shoot at them. speed towards where a man was waiting with a rope in hand to secure it to a bollard. ‘Get out, now!’ he shouted ‘And leave the engine running!’ The man did as he was told and scrambled out quickly, one leg slipping into the water. Yuri hauled him bodily clear of the river and deposited him by the other man. His expression said that he didn’t believe this was really happening but he did not try to fight. Two policemen were now sprinting, weapons drawn, towards the jetty followed by two more just behind while the distant noise of sirens drew steadily nearer. Unhitching the mooring rope he calmly threw his bag into the stowage area behind the seats and jumped into the left hand seat. He knew how long the officers would take to reach him and their pistols would not be accurate at this range so there was no need to panic. They reached the jetty as he reached down to push the throttle lever forward. Engine roaring, the small aircraft began to move forward towards the shore and he turned the wheel-like joystick to the right as spray chilled his face from the open door which he pulled shut. With the water now staying outside he found the rudder controls and gained more control of the plane now accelerating away from the shoreline. He had been trained to fly both conventional aircraft and helicopters and while he would never be a fighter pilot he could control most basic light aircraft though a seaplane was new territory. It would be fine once he found the windscreen wiper control. no longer needed the artificial horizon, he could now see the wide featureless expanse of the Hudson spread out below him like a lake. Ahead the grey sky promised rain as he flew northwards over a low road bridge with a central iron span far out in the grey water where a multi lane highway crossed to the far shore. 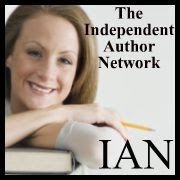 This entry was posted in writing and tagged adventure, books, indie authors, random, Thrillers, writing. Bookmark the permalink.